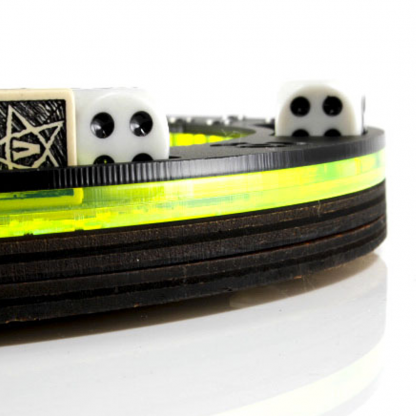 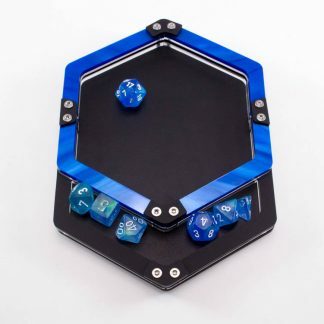 Acrylic and wood base dice tray with custom designed laser etched pattern and color styling inspired by the neon glow of Cyberpunk, Tron, and post apocalyptic settings. Constructed with layers of matte black and light catching lazer lime acrylic. 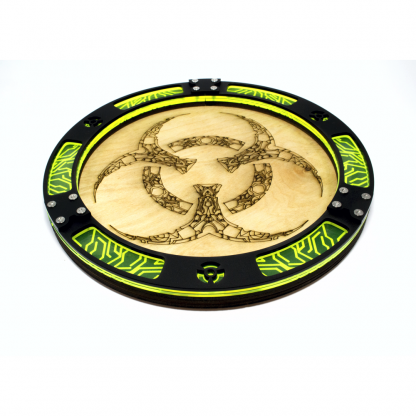 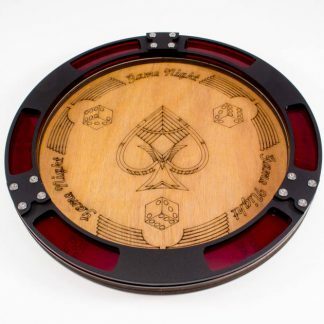 The Biotech is made with a wooden base that is etched with custom designed pattern inspired by the neon glow of Cyberpunk, Tron, and Post Apocalyptic settings. 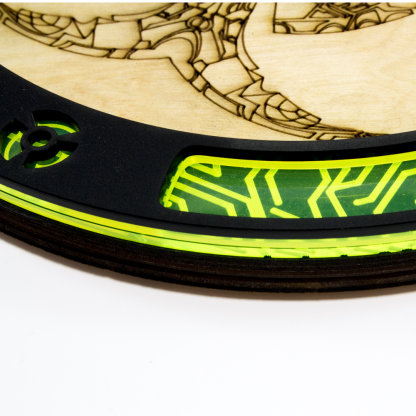 Light catching acrylic is layered in between and it’s topped with a black matte acrylic piece.